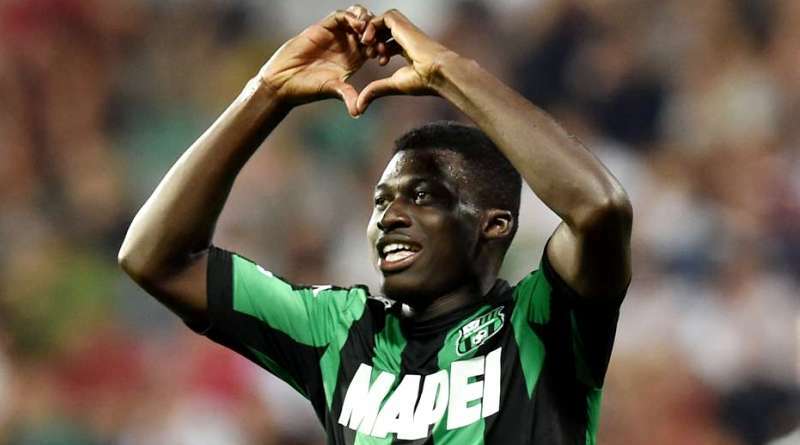 AC Milan are planning a move for Sassuolo midfielder Alfred Duncan. According to a report from Calciomercato, AC Milan have entered talks with Sassuolo for Alfred Duncan. The Ghana international joined Sassuolo from Sampdoria for a fee in the region of 6 million euros in July 2016. His contract expires in the summer of 2020. Duncan made 87 appearances across all competitions for Sassuolo, scoring two goals and supplying eight assists in return. He is 25-year-old and has his peak years ahead. Alfred Duncan has represented Ghana at Under-20 level, winning four caps, before making his senior international debut in November 2012. As a member of Ghana national football team, Duncan won 10 caps and he scored one goal. His performances have seen him become the target of many European clubs including AC Milan. Gennaro Gattuso is looking to shore up his midfield options and Sassuolo’s Alfred Duncan happens to be a target. The report claims that AC Milan manager has extensively scouted Duncan and is considering a move for the midfielder. Alfred Duncan has the talent to play many roles in midfield. Sassuolo appear to be adamant that no key players will be sold this summer, but AC Milan are reportedly ready to tempt them with an offer in the region of 20 million euros for Alfred Duncan. Signing the 25-year-old in the summer transfer window would be a masterstroke from Gennaro Gattuso. Stylistically, he would be a great fit in Milan. Will Alfred Duncan be a AC Milan player soon? Only time will tell.